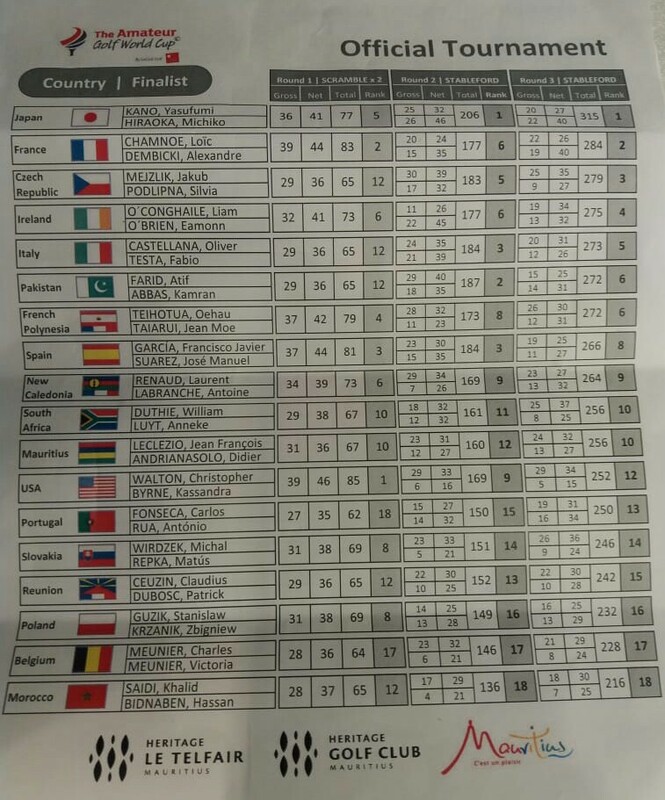 The final round of International Final of Amateur Golf World Cup being play at Mauritius, concluded with team positions dwindling till the end of play. The only country team which held on to its 4th day position of No. 1 was Japan. The other two country teams Pakistan and Spain which on the 4th day were holding the 2nd and 3rd moved down to 6th and 8th positions respectively. This event had participation of golfers from 22 countries and was played at the Heritage Golf Club, Mauritius from 11th till 16th June 2018. Next articleBreaking World Cup 2018 – France Vs Australia: The Winner is…?